THE GOG BLOG with Rory Spears, Director of Content and Creation. Follow Rory on Twitter @GogBlogGuy, Linkedin or Facebook. 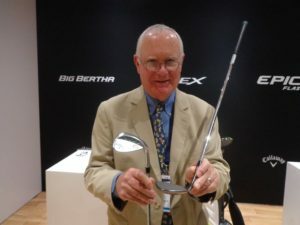 Roger Cleveland Callaway wedge designer, with the new Callaway Mack Daddy and PM Wedges. The Callaway Golf wedge line by Roger Cleveland just got better. That’s because after the success of the Sure-Out wedge, the second version is available as of today. Sure Out is the wedge made for golfers who struggle around the green, and in the rough. Do you have issues getting out of the sand, Sure Out is for you. When you need a club that helps from all the tough lies, Sure Out is what you need, because your game deserves better. The Callaway Sure Out 2 Wedge. Sure Out 2 is the wedge that helps you gain playability from all lies. The Sure Out 2’s enhanced sole design, that has redefined the bounce angle, and extra heel relief brings more to your short game. Full-Faced Grooves: There are now 17 full-faced grooves, that come with a redesigned groove patter for more spin. You can now play more aggressive, and create shots with spin stopping power. This feature brings better distance control, so you can stop yourself near the pin and leave shorter putts for pars and birdies. NEW LOFT OFFERINGS: now include 56-58-60 and 64 degree options. So whatever pitched shots you like to play, Callaway now offer the loft you want. Now in stores as of today April 12th. See Callawaygolf.com . THE GOG BLOG by RORY SPEARS. Director of Content and Creation. Follow Rory on TWITTER @GogBlogGuy. Linkedin and Facebook. (R) Another foursome enjoying Erin Hills. IT’S GOLF SEASON. Even with some bad weather to the north, it’s golf season in Wisconsin. Yes there is some snow in the Dairyland, but because it’s April it is still golf season. There is good news, because the snow will melt before the major destinations do open. So what does that mean. Use that time to pick up the phone and book some tee times. The Pete Dye golf courses of Kohler such as Blackwolf Run, and Whistling Straits are opening this weekend. Weather permitting because they do have snow. But the Kohler golf challenge is still schedule for the next couple of weekends, if this weekend gets snowed out. 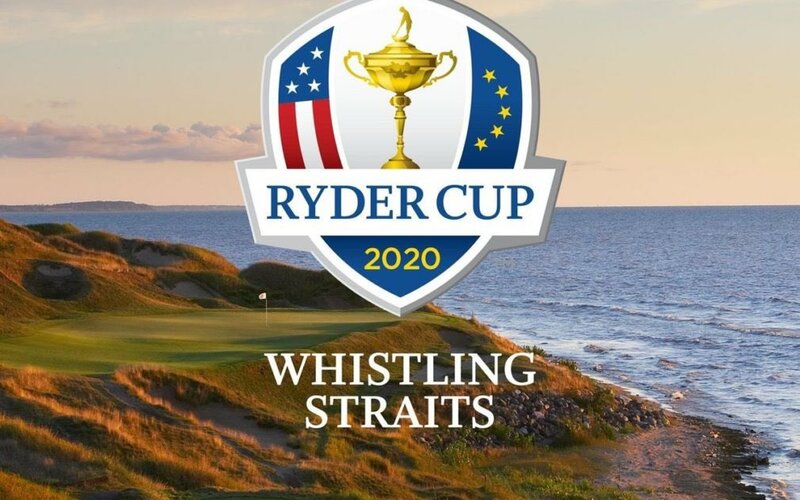 KOHLER’S WHISTLING STRAITS will host the Ryder Cup in September of 2020. 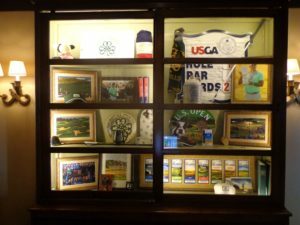 The 2017 U.S. Open trophy case at Erin Hills. 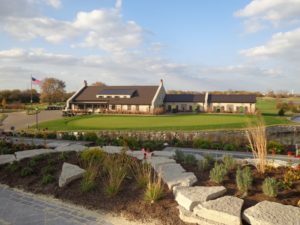 You can join Erin Hills for a special week in June, because the club will celebrate U.S. Open week. 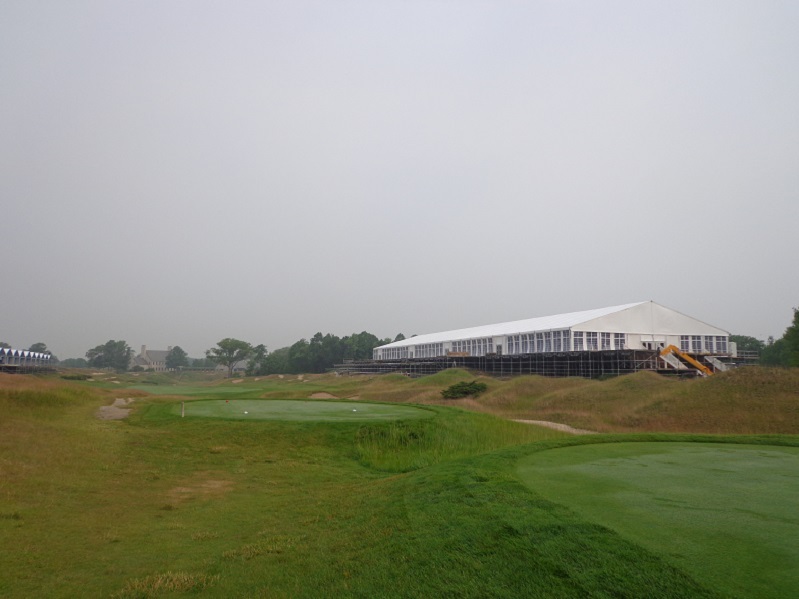 While the players are teeing off at Pebble Beach, you can enjoy 2017 U.S. Open venue Erin Hills. 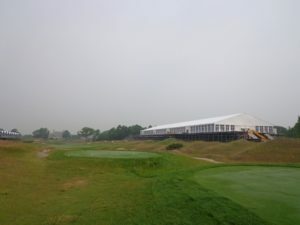 Play Erin hills how the open field played it in 2017, with the pin placements from championship week. 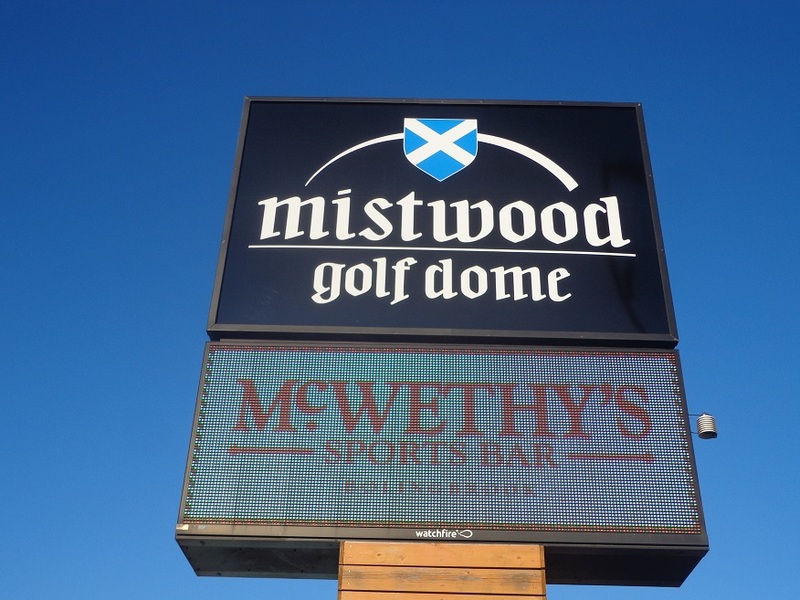 You can enjoy championship week on the course, or be watching in the dining room and or the Irish Pub. When the course opens in May, there are price specials the first two weeks. Or you take advantage of great during the closing days of October. 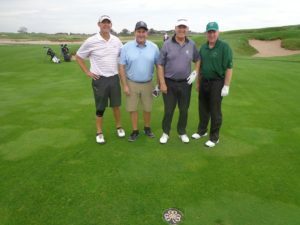 To enjoy play and stays at Erin Hills, see Erinhills.com and then call (866)-772-4769. 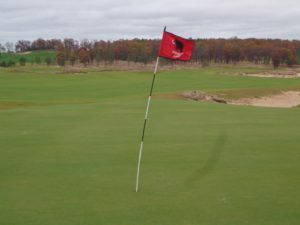 MAMMOTH DUNES at Sand Valley was designed by David Kidd. 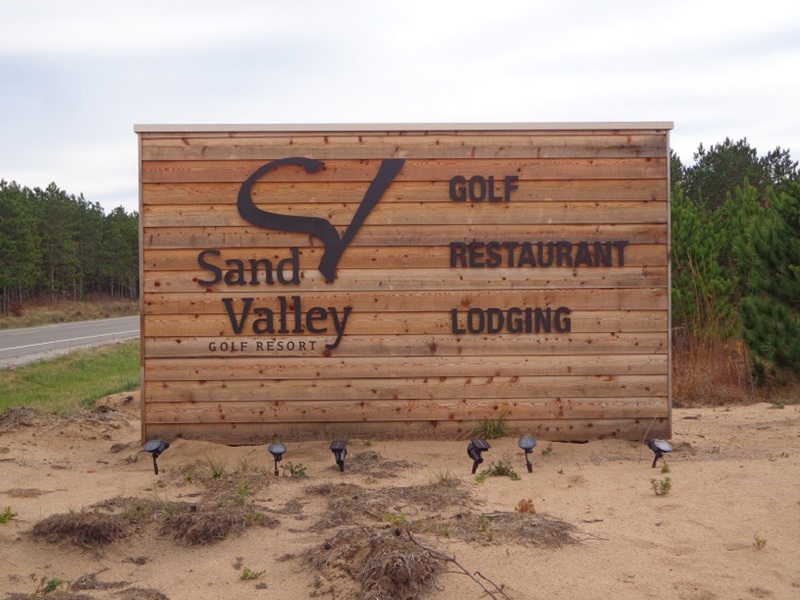 Sand Valley will open for the season on April 25th. 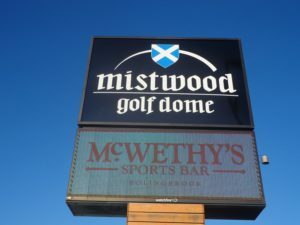 Call for tee times and over night reservations today. 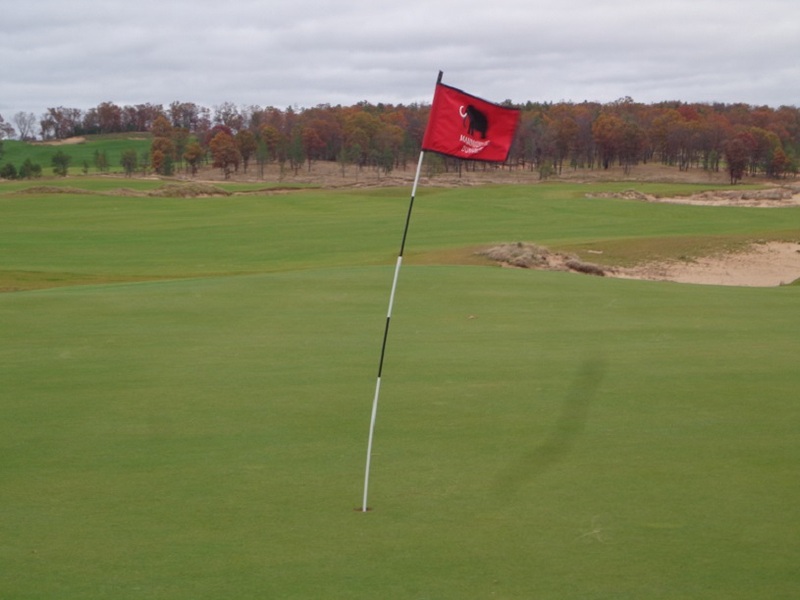 Sand Valley now has 54 holes open for play, and there is another course by Tom Doak in the works. Stay overnight or book a Dream Day Golf Trip. A Dream Day golf trip includes rounds of golf, on two of the three courses. There is time for lunch in between rounds. One of thetwo rounds will be on the par 3 course, “The Sandbox”. A perfect idea for groups but rates do vary. THE GOG BLOG by RORY SPEARS. Director of Content and Creation. Follow Rory on TWITTER @GogBlogGuy. Linkedin or Facebook. 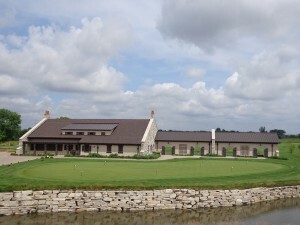 At the Mistwood Golf Club performance center. Titleist has raised the bar on it’s Iron production, by creating a higher grade of Irons. It’s now what Titleist could produce at the highest level for the golfer, regardless of cost. 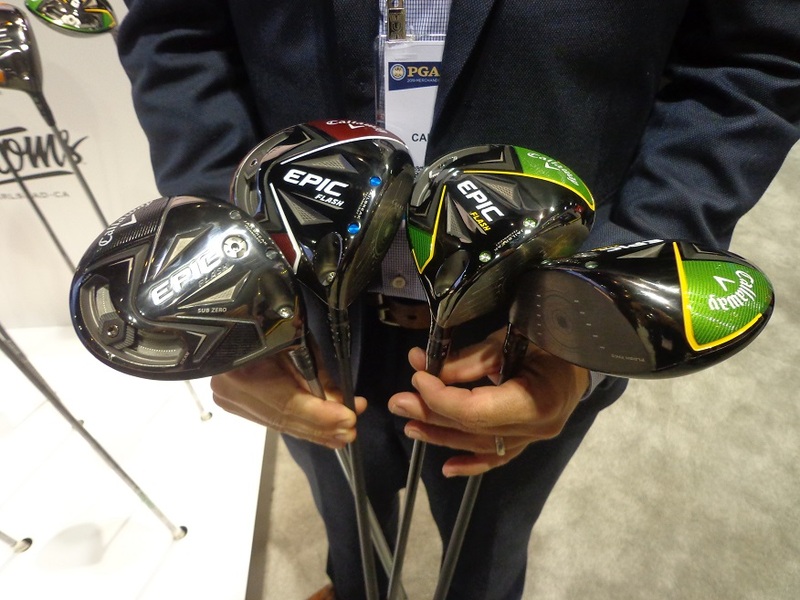 It’s now part of a growing trend in golf club production, and besides the fact’s of cost, companies are telling it’s R&D teams, just go build it. Management is now telling it’s design teams, if you can make it we will figure out how to price it. That’s because golfers want products that can give them, the best game they can buy. Created to move forward and on the road of build the best we can. Titleist’s new CNCPT CP-01 and CP-02 Irons that showcase the thinnest unsupported, constant-thickness face in golf. Which is made possible through the use of a rare, alloy never before used in club manufacturing. Called the Super Metal L-Face insert. Because It’s measured at a level that delivers and creates, ball speed previously unseen when hit off the face of an iron golf club. The club comes with an extraordinary amounts of high-density tungsten, therefore this produces almost 50% of the total head weight in lower-lofts. This produces higher launch, besides the greater distance with a generous impact. CNCPT CP-01 with Supreme speed, launch and forgiveness. Averaging more than 100g per head in lower-lofted irons. With a Super Metal L-face Insert. CNCPT CP-02 with Supreme speed, coming in a classic style blade shape. High-Density Tungsten Weighting. Averaging more than 110g per head in lower-lofted irons. Super Metal L-Face Insert. LEARN MORE and or schedule a fitting at CNCPT_Titleist@achusnetgolf.com or (833)-99.CNCPT. On the web at Titleist.com/golf-clubs/irons/cncpt. THE GOG BLOG by RORY SPEARS, Director of Content and Creation. Follow Rory on Twitter @GogBlogGuy, Linkedin and Facebook. Gog Radio this Saturday at 10 AM on the BIG Am 750 WNDZ-Chicago. 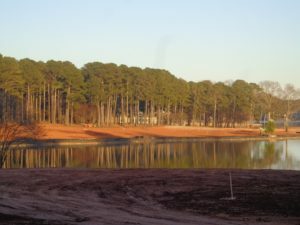 MORE NEW GOLF COURSE construction will soon be underway. This time in Hawaii, on the island of Oahu. 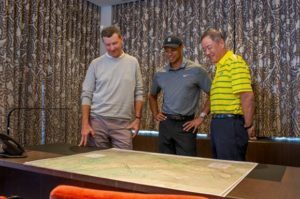 Architect Gil Hanse and tour player Tiger Woods, have been named as the designers of the two new courses. The courses will be in the Makaha Valley Resort. The TGR design team will create the North Course, and the Hanse team will do the South Course. 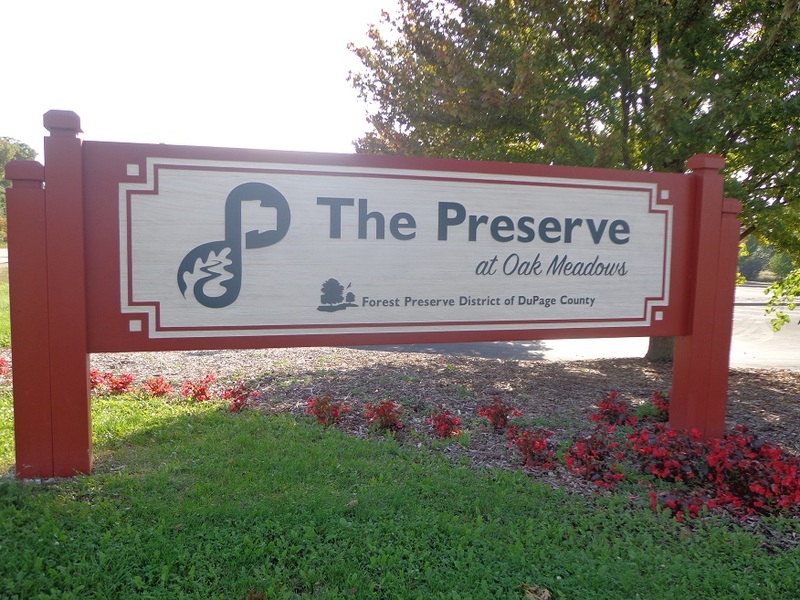 The resort is 644 acre’s of mixed-use property. It’s developed in conjunction with community leaders, and native cultural practitioners on Hawaii’s third largest island. The Makaha Valley is on the west end of Oahu. The valley area is expected to provide some great land for golf course building. 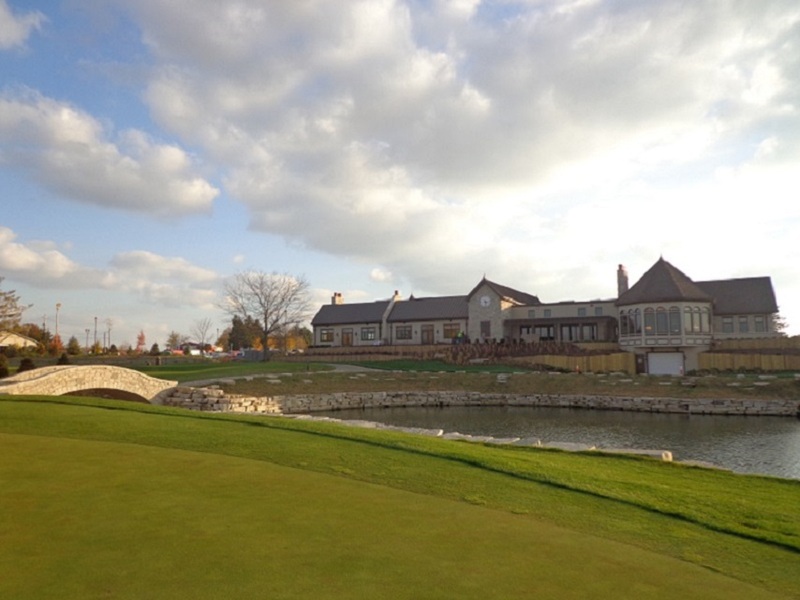 The courses will provide enjoyable rounds for golfers because of the great views the valley offers. There is not an official start date for the project. Nor is there an expected opening date. Work should begin later this year. 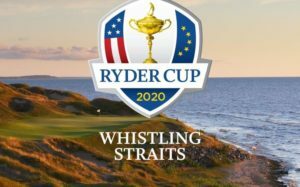 There is no word, on whether the resort will seek professional tournaments once the project is completed. For more details see Pacific Links International on social media sites. THE GOG BLOG by RORY SPEARS, Director of Content and Creation. Follow Rory on Twitter @GogBlogGuy, Linkedin and or Facebook. 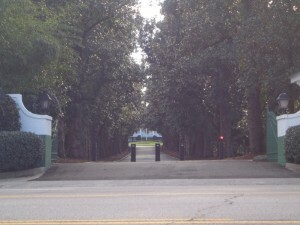 The front gates of Augusta National. It’s that time of year, Green Jacket Season. The flowers start to bloom, and the color of green starts to emerge. 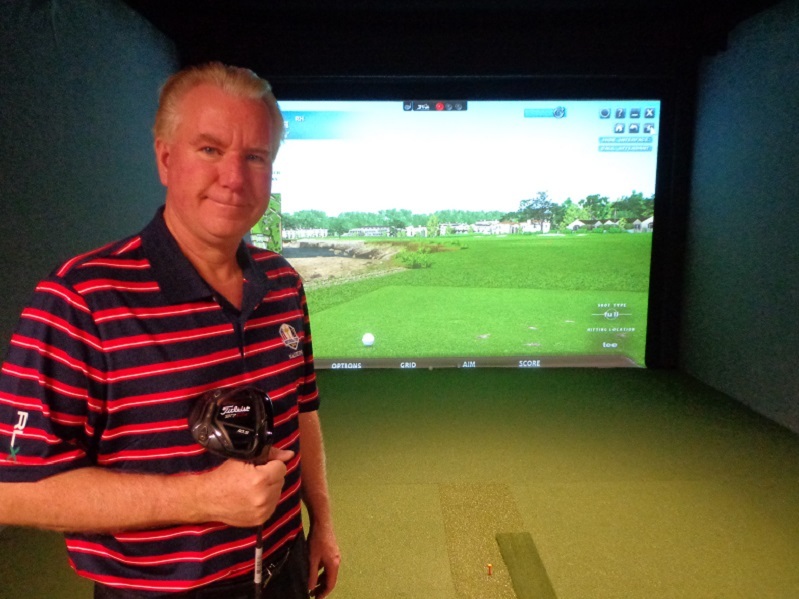 Across America golf clubs that have been asleep in closets, garages start to awaken. It’s time to buy new golf clubs, golf balls, and a shirt or cap. It’s golf season. 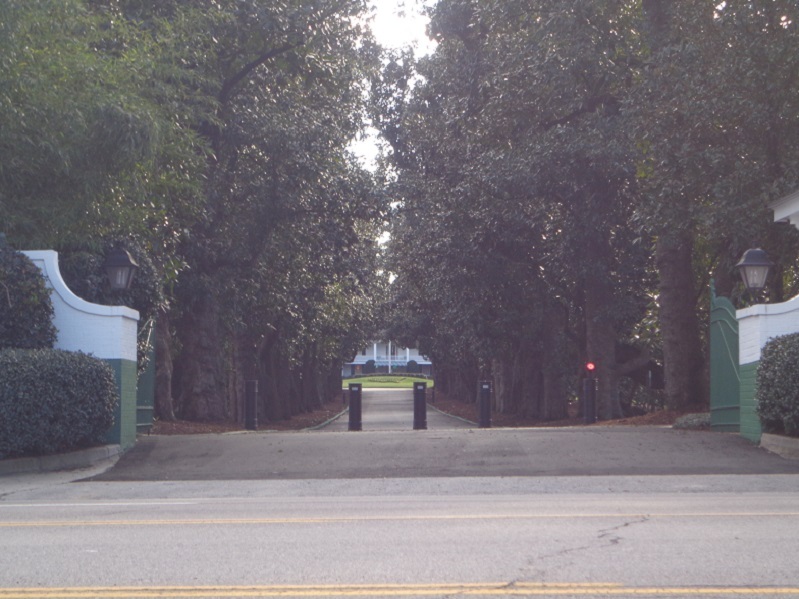 There is something about Masters week that carries over and beyond the gates of the Augusta National Golf Club. Golf season in many parts of America, starts over for another year. It’s time. WHO WILL WIN the green jacket this year ? Rory McIlroy is the favorite, and if he wins it will be the career Grand Slam for McIlroy, who always plays well at the Masters. Rory just doesn’t cross the finish line in first place, he hasn’t made it to the Butler Cabin on Sunday night but he can this year. THE SO-CALLED EXPERTS say the Masters Tournament is as wide-open as it’s been in years, so come Sunday night we will see if that’s the case. WHAT A FURIOUS CHARGE by Wheaton’s Kevin Streelman on Sunday at the Valero Texas Open. Streelman let it all hang out, and was working on a 10 under par round on the par 5, 18th hole. Streelman got home in three shots, he needed a birdie to tie for the lead. He three-putted. Never-the-less, his game is rounding into shape. 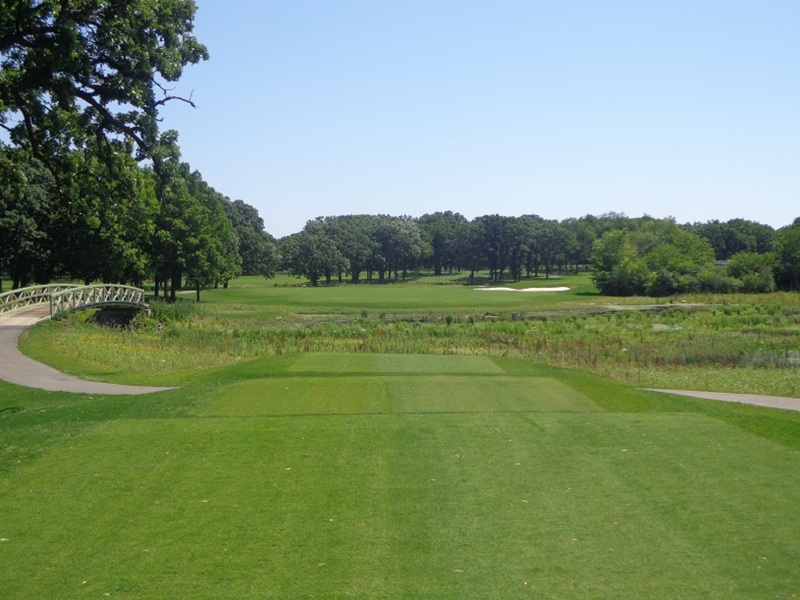 THIS WEEKEND, the Kohler Golf Challenge is expected to tee off on the original Blackwolf Run Course, and then the Irish Course. This weekend is the first of three weekends of championships, but will it be. Rumors of big snow could haunt the Midwest and make things in Kohler all white. Let’s hope not. Call (855)-510-7225 to book your spot in the field, besides if it snows, enjoy the Great Waters Spa instead. 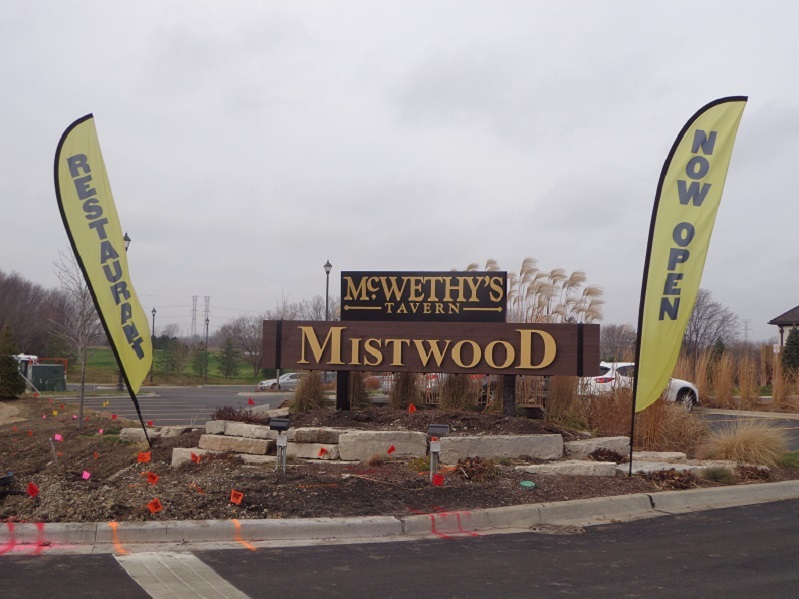 MISTWOOD GOLF COURSE in Romeoville will open on Thursday, being one of the last golf courses to do so. As a result the course will be in good shape. 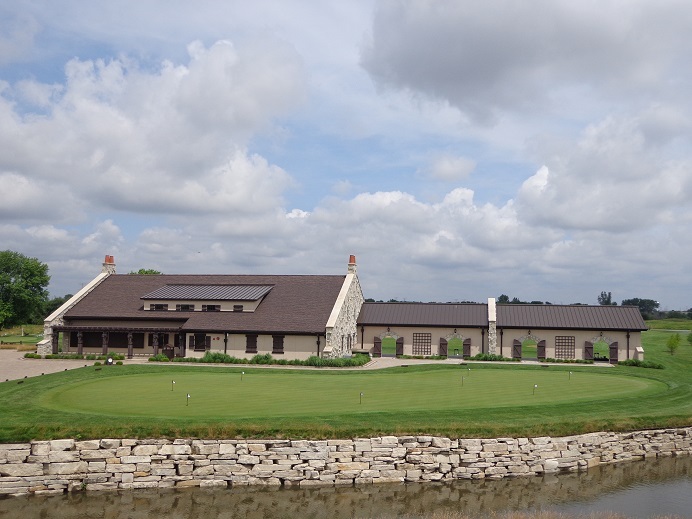 Tee times can be booked by calling (815)-254-3333. THIS WEEKS GOLFERS ON GOLF RADIO will be week #3. 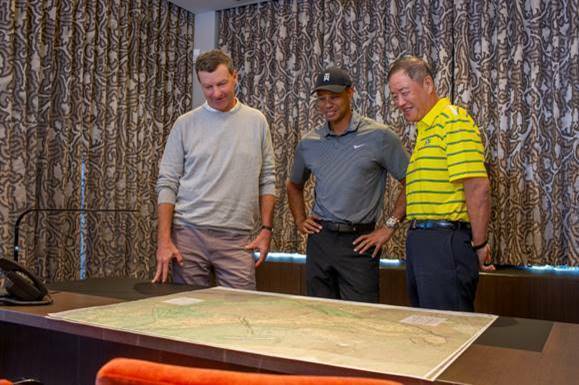 Details are coming together, but you can bet there will be some Masters talk. THERE WILL BE SOME WRAP UP on the Augusta Women’s Amateur, and the Drive, Chip and Putt for the junior golfers. Both events add-on to one of the great weeks in sport. THE GOG BLOG by RORY SPEARS, Director of Content and Creation. Follow Rory on Twitter @GogBlogGuy, Linkedin or Facebook. 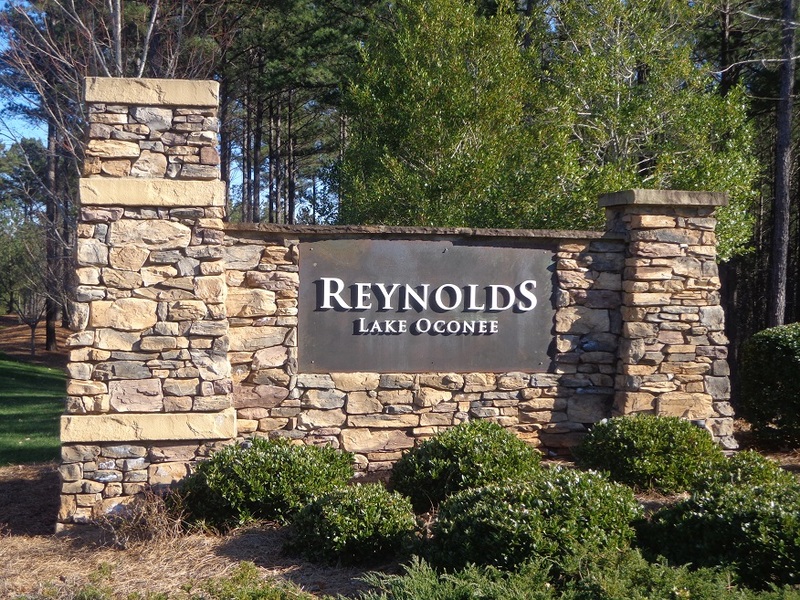 On the tee at the National Golf Course at Reynolds at Lake Oconee. WEEK 2 in the books for Golfers on Golf Radio, our guests were Jim Nugent from Augusta National Golf Club and the Women’s Amateur, and Mike Scully of Reynolds at Lake Oconee. CALLAWAY GOLF is offering through May 5th of 2019, a 50% extra bonus on trading in of old clubs towards the purchase of new Callaway Clubs, Callawaygolf.com. Callaway Golf Club fitting day at Pine Meadows Golf Club in Mundelein is April 27th from 10 Am until 2 PM, stop by the clubhouse to sign up for your appointment or call the club at (847)-566-GOLF. CALLAWAY GOLF APPAREL has signed 16 new ambassadors for 2019, headed up by two-time major champion Retief Goosen. The other players included Brice Garrett, Cody Gribble, Brandon Harkins, John Chin, Roberto Diaz, Steven Brown, Rico Hoey, Nicholas Echavarria, Andres Gallegos, Steven Ihm, Matthew NeSmith, Carlota Ciganda, Emma Talley, Cheynne Knight. 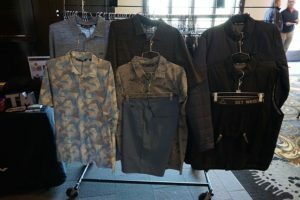 For more details see Callawayapparel.com. 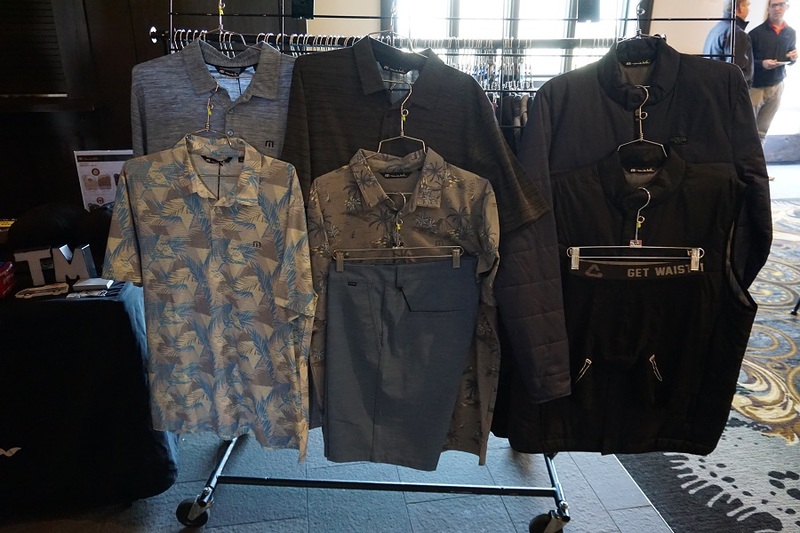 Callawat Apparel by Perry Ellis International. Northwestern’s Stephanie Lau was named Big Ten player of the week after a T-1 at the Ping/Arizona State Invitational. Lau shot 209 (-7). DEVEREUX NEW ERA-has released some new masters week style hats that are priced at just $35.00. See our social media for pictures and styles. @GogBlogGuy on twitter and the Rory Spears Facebook page. See www.dvrxthreads.com for details. The Par 3 11th hole at Grande Dunes Golf Club in Myrtle Beach SC. 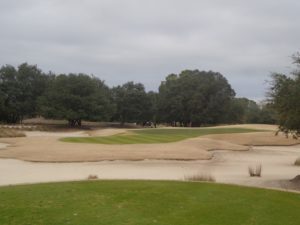 The South Carolina Golf Course ratings panel, has recently named 13 of the top 32 courses in the state of South Carolina, to be located in the Myrtle Beach-Grand Strand area. This list includes courses that the public can access. The best course in the Grand Strand region was list as the Caledonia Golf and Fish Club. Other Myrtle Beach Courses included TPC Myrtle Beach, Grande Dunes Golf Club, Pawleys Plantation and three of the courses at the Barefoot Resort. 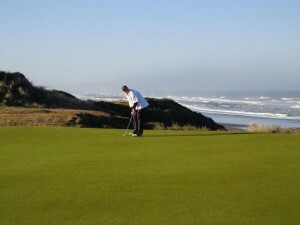 For more details on courses you can play in the Myrtle Beach area, you can visit MyrtleBeachGolftrips.com. THE WGA HAS ANNOUNCED that CIBC Bank has expanded it’s partnership with the Western Golf Association and will support the CIBC Pro-Am at the inaugural Evans Scholars Invitational and the events volunteer program. 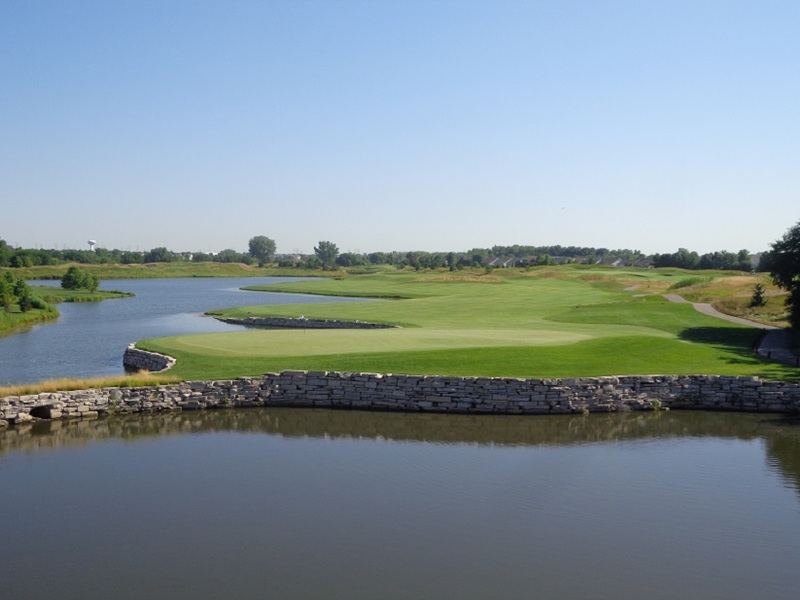 the pro-am is May 22 at the Glen Club in Glenview and the tournament is May 23-26. 52 web.com players will play in the pro-am. Topgolf is ready to open it’s 55th location in the DC area. Topgolf is ready to open yet another location in America. The newest location is in National Harbor near Washington DC. Before the new facility opens the plan is to hire at least 500 new positions on the Topgolf team. 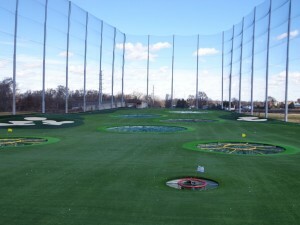 The National Harbor location is the 55th location for Topgolf. 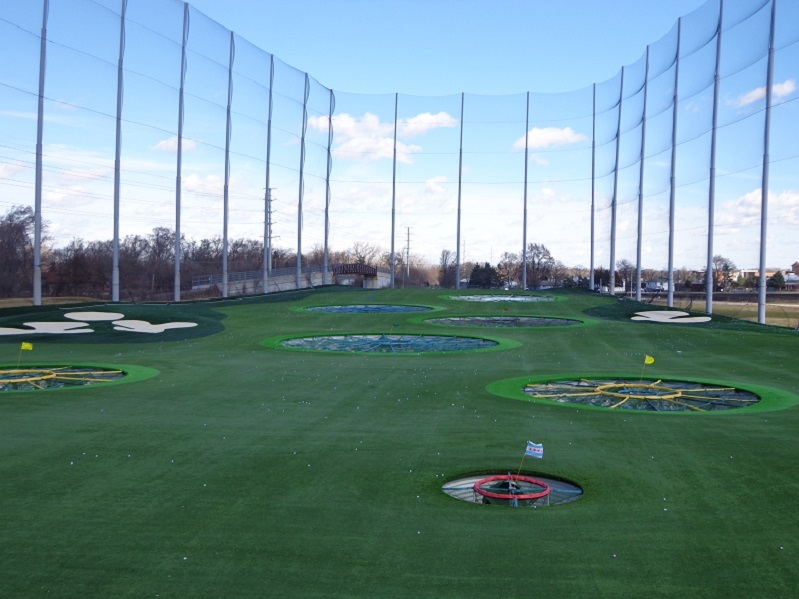 More Topgolf locations will open in 2019, including Schaumburg IL. just outside of the Chicago area. Details at Topgolf.com. 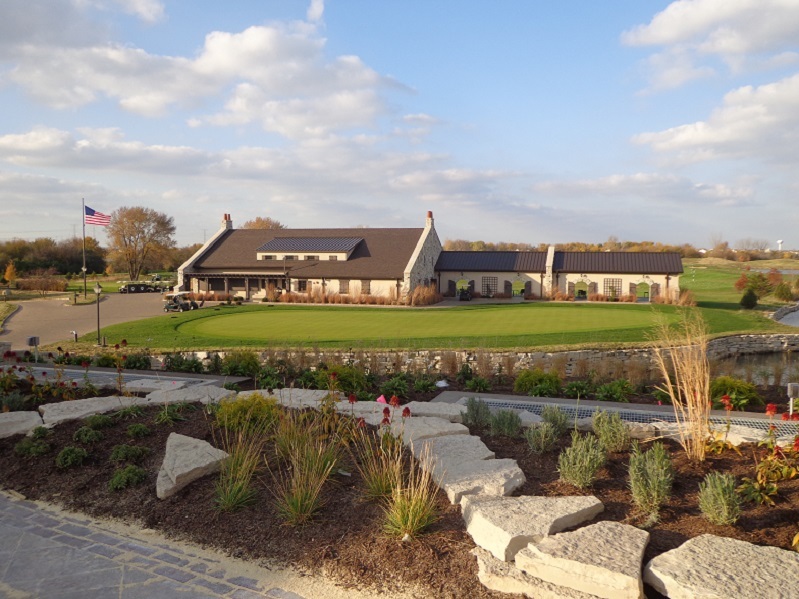 COGHILL has announce they have hired their new General Manager to replace Nick Mokelke who is retiring this year, after 56 years with the Jemsek family, and the last 39 years at Cog Hill. 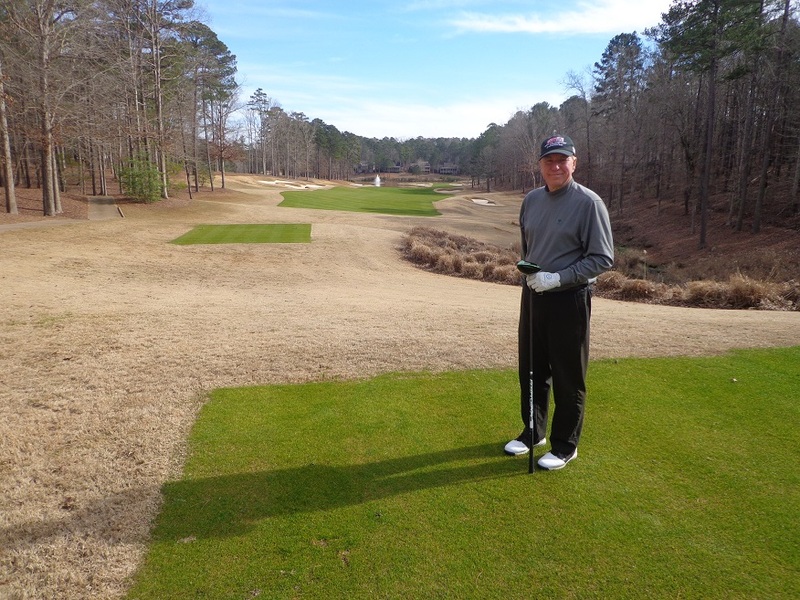 Troy Newport joins Cog Hill after coming over from Troon Golf in Kansas. In addition at Cog Hill teaching professional Kevin Weeks has been named a Top 100 teacher by Golf Magazine. Information on Cog Hill at Coghillgolf.com. THE MEN’S GOLF TEAM at Illinois took 7th place at the Augusta Haskins Award Invitational. Varun Chopra led the Illini with a score of 213-3 under par. Adrein Dumont De Chassart and Michael Feagles finished at 2 under par. Wake Forest won the championship at -36, 30 shots better than Illinois. WOMEN”S GOLF DAY is now less than 60 days out. June 4th is the day and since 2016, over 900 locations in 52 countries have participated. More details can be found at WomensGolfDay.com register your golf facility now. 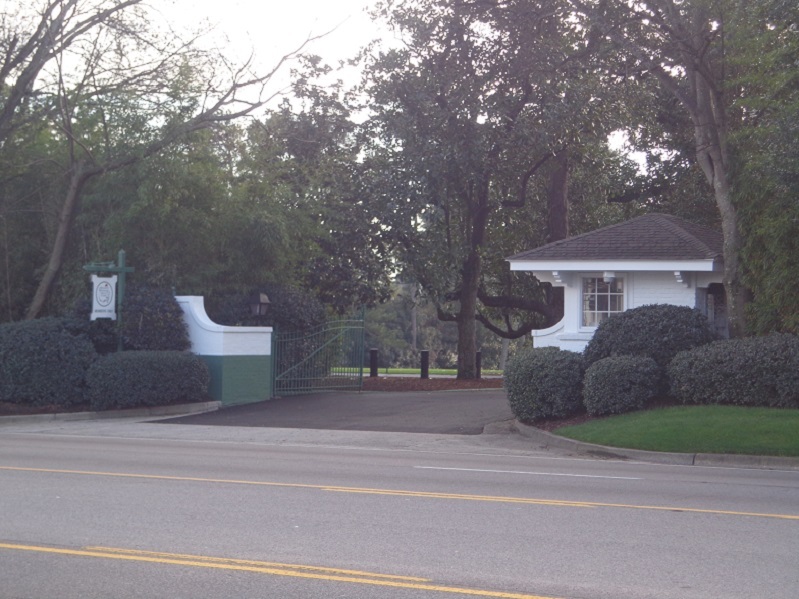 A live report from Augusta National with the Publisher of Global Golf Post, Jim Nugent. 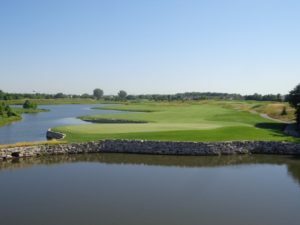 An interview with Mike Scully, the new GM at the Reynolds Lake Oconee Ritz – Carlton – and former Chicago area golf professional from Medinah. The guys chat about Masters week, and make their predictions for 2019. It’s Callaway Day for the IPGA at Mistwood Golf Club in Romeoville. THE GOG BLOG by Rory Spears. Follow Rory on Twitter @GogBlogGuy, Linkedin and Facebook. 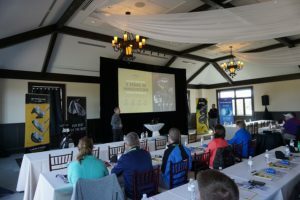 The Callaway Day at Mistwood Golf Course this past week was informative for all who attended from the Illinois PGA Section. There was a large turnout to the event put on by Callaway Golf and Paul Schlimm of Callaway Golf. Callaway’s Golf Line this year includes an upgrade to it’s woods, with the Epic Flash Driver and the Epic Flash Woods. Perfect for when you have a need for speed. The Irons now have the Apex or Big Bertha Lines to pick from. The Wedges by Roger Cleveland, that include the Mack Daddy line, now have the PM Grind 19. These new wedges were co-designed by Cleveland, and tour player Phil Mickelson. Odyssey and Toulon Putters with the Stroke Lab design improvements have upgraded the putter line. You can order the custom logo’d Truvis Chrome Soft golf balls, because you can expand your options on ball design. The professionals went through putting, chipping and driving contests to get a feel for the products and see first-hand how well they perform. Callaway is offering through early May, trade-in discounts on buying new clubs. For more information on Callaway products see, Callawaygolf.com. The boys are back again, and this week the show is Georgia themed. 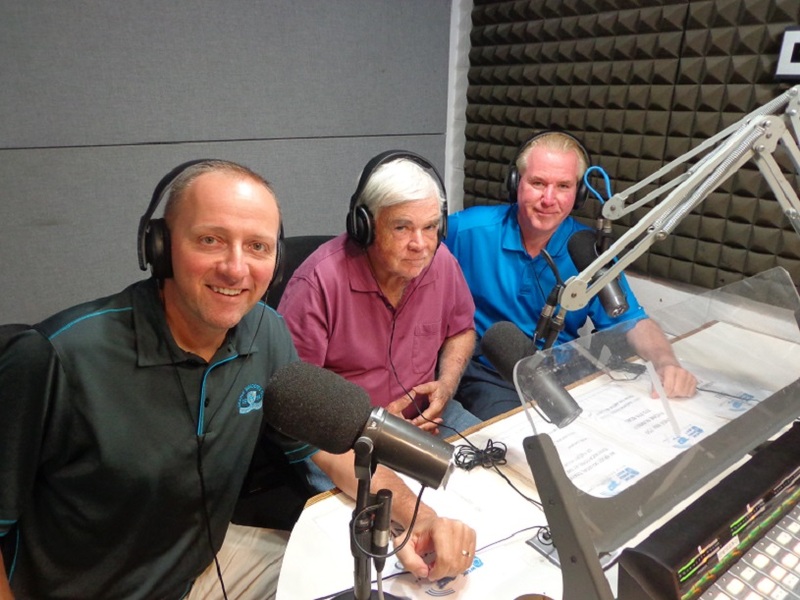 This morning Am 750 WNDZ, tee time is 10 AM, Ed Stevenson, Bill Berger and Rory Spears bring you Golfers on Golf Radio starting at 10 Am. This weeks guests live from Georgia include Global Golf Post publisher Jim Nugent at the famed Augusta National Golf Club. 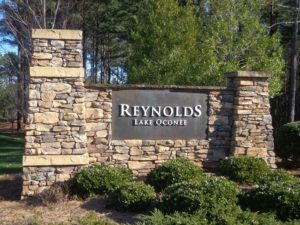 Then former Medinah head golf professional Mike Scully the now the General Manager of Reynolds at Lake Oconee in Greensboro GA. will join us from his destination golf property. That and more, join us on the tee at 10 AM. Am 750 WNDZ. THE GOG BLOG by RORY SPEARS, Director of Content and Creation. Follow Rory on Twitter @GogBlogGuy, Linkedin and Facebook. Titleist has taken it’s driver level, to a new level, with the addition of the TS4 Driver. Titleist says it’s TS2 and TS3 are the most played drivers on the PGA Tour. The new TS4 low-spin driver will be put in play this week on tour, at the Texas Valero Open. It will be available to the public, and in pro shops and golf retail stores in late June. The new TS4 driver is a mix of technologies from the Titleist Speed Project. That gives the TS4 a low, forward CG that neutralizes spin, which produces a longer, more piercing ball flight. The Titleist TS4 driver, available late June. Talge added there is a need for the TS4. The innovations used to drive ball speed in TS2 and TS3 are being used to in TS4’s 430cc Speed Chasis, to reduce spin and still maximize distance for high spin players. The Ultra-Thin Titanium Crown, 20% thinner than in the Titleist 917 driver. The weight is redistributed low and forward for reduced spin. A thinner faster face, it’s the fastest face Titleist says they have ever made. The aerodynamic TS4 design is a classic 430cc, pear shape-that reduces drag and allows golfers a faster swing for more distance. The Titleist SureFit Hosel featuring 16 independent loft and lie settings, allows additional ball flight with a precision fitting.